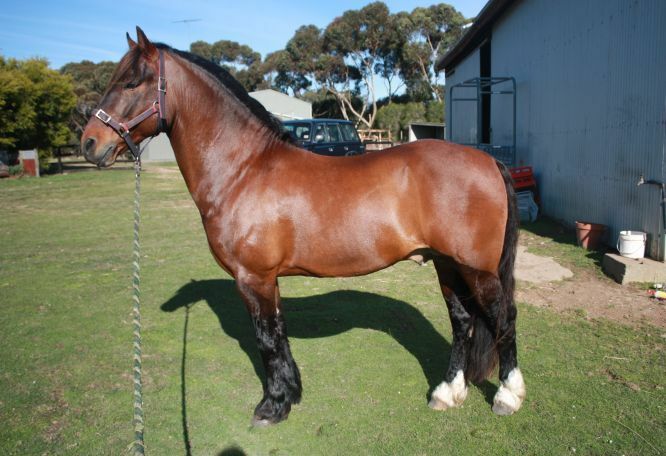 Daniel is a 14.1hh,9yo welsh cob section D stallion. 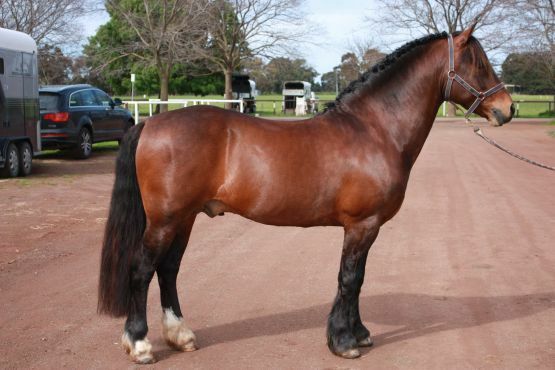 Daniel would have to be one of the top all round performance cob stallions going around. 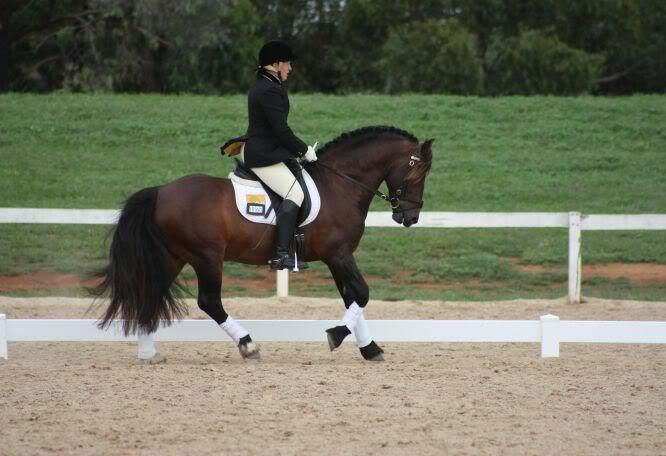 He is currently competing elementary EA Pony dressage and schooling over a metre in showjumping at home. 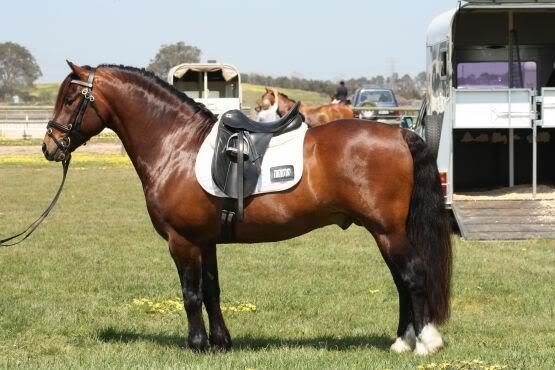 Recent Outings: VIC ALL WELSH 2010-2nd Ridden Welsh Hunter,1st Working Hunter 14hh and under 15hh, 1st Activity Pony. 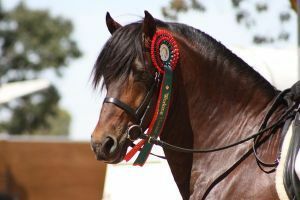 3rd Led Welsh, 1st Ridden Welsh ,Reserve Champion Ridden Welsh, 3rd Led Welsh Hunter, AND OVERALL BEST PERFORMED STALLION FOR THE SECOND YEAR IN A ROW. 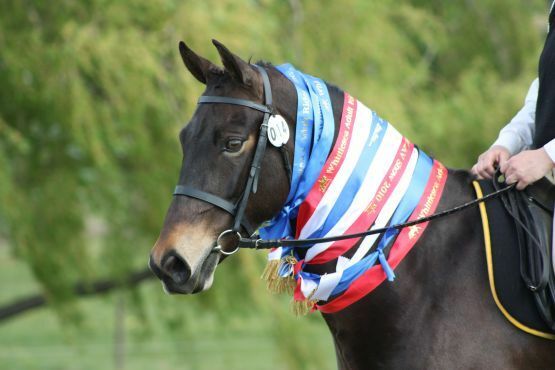 WELSH NATIONALS 2010- 1st Ridden Welsh and Reserve National Ridden Welsh, 1st Working Hunter 14-15hh. He is absolutely gorgeous Kerrie! 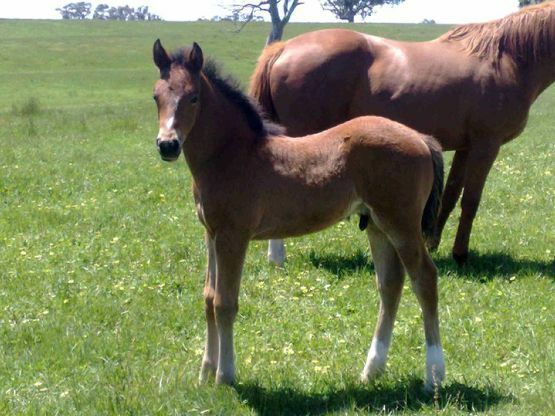 I am the proud owner of an unregistered Welsh Section D mare, & I think she is just wonderful. 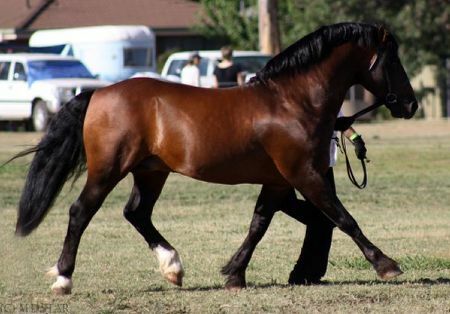 I really want to learn more about this amazing breed. Kerrie, I don't seem to be able to post photos on this forum without Shell's help. 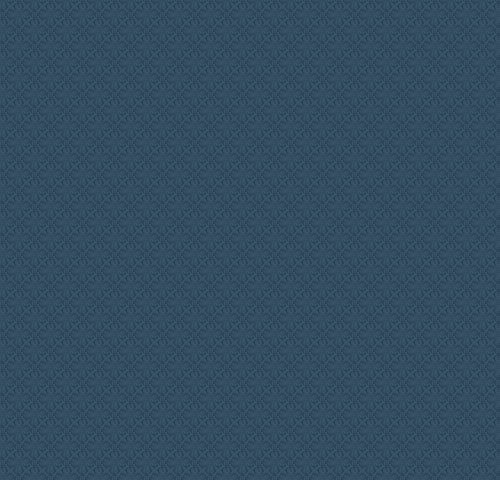 If you give me your email I'd be happy to send some pics to you though. Meanwhile that is her & me on my avatar. Think there is a larger version in a thread on the forum too. Search Blewbury. He looks gorgeous! I hope that he did really well. Daniel competed at the WPVDC yesterday (10/10/10) and did 2 super tests in Elementary. 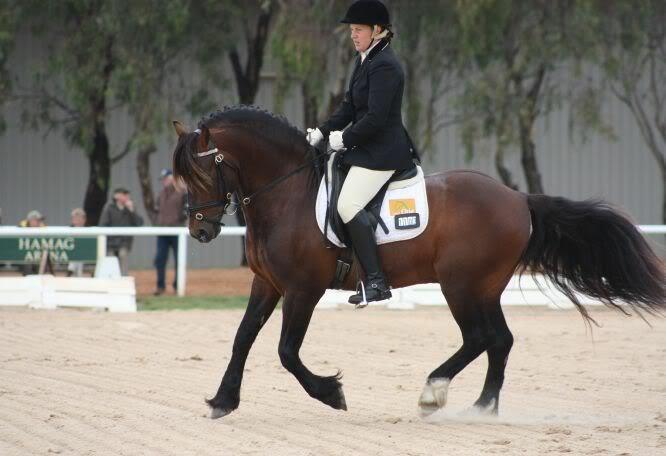 He came 2nd in the first test with 62.28% then WON his second test with a super score of 66.25%. He beat all the BIG horses too by 6%. Wow! Go the Section D's!! He looks absolutely awesome. 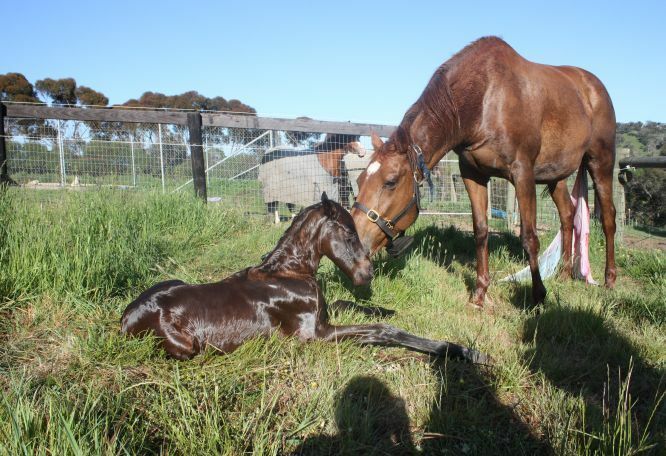 I would love to do something like that one day with Trinny or one of her progeny. Chevvy at 4 weeks of age. Congrats to Michele. 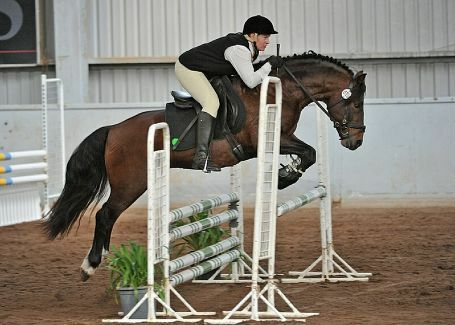 He is out of a 17hh tb mare and is by FDL JD. Would love to see more photos of him as he grows up. Congratulations! Your little stallion is really something to look at. Gorgeous. Wonderful that he is giving the big horses a run for their money at his comps. Well done. Totally agree, so lovely to see a great "little" horse out there competing with the big ones. 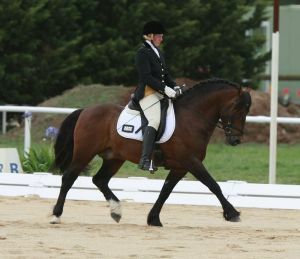 Pony dressage is so popular now and thats fine, but a nice horse working well with fantastic movement should be accepted whatever size (just my opinion by the way ). Just love the Welsh Cobs. Kerrie can I ask what breeding his 5yo daughter is, just love the look of her. Oh wow guys thanks for your lovely compliments. 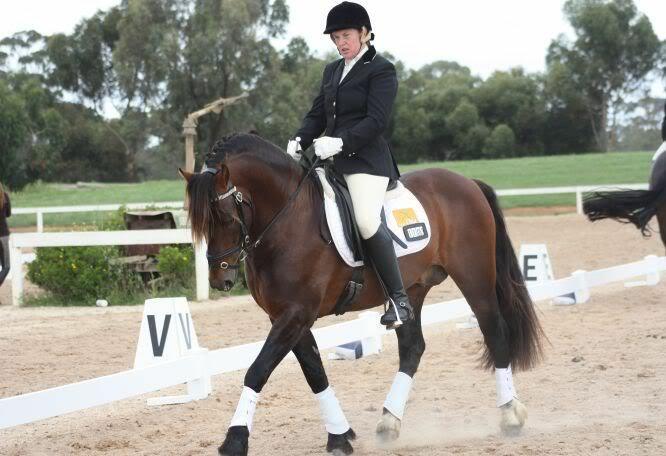 Dan is currently sitting 3rd on the Bates National Pony Dressage Leaderboard. Congratulations Kerrie. 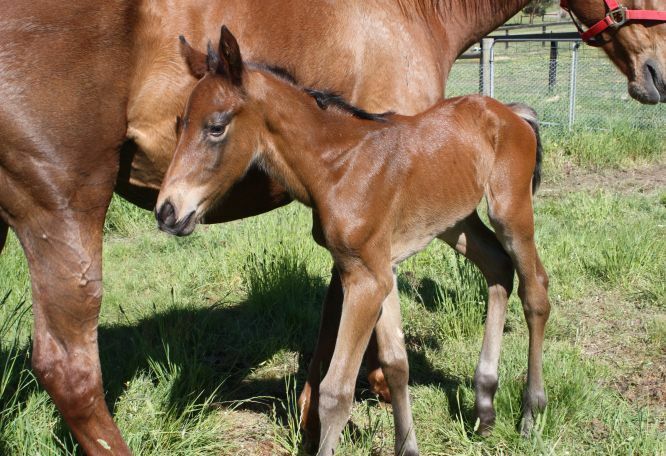 Welcome to the world little man! Stunning.. Wouldn't mind putting my lil Honey to him.. Don't think I have the money thou! Thanks everyone, well i have some VERY exciting news from the weekend. We competed at the State Dressage Festival yesterday and came home with a WIN in the elementary 3B and 4th in the 3C and Reserve Champion Elementary Pony as well. Thrilled with these results as top 6 was my main aim!! A short video of my 6yo daughter, Maddys first ride on Dan. Also some footage of Dan training his flying changes at home. FANTASTIC Kerrie!!!!! Thats brilliant - he is such a superstar that boy of yours!!! A youtube footage of Dans 2011 Stud DVD. 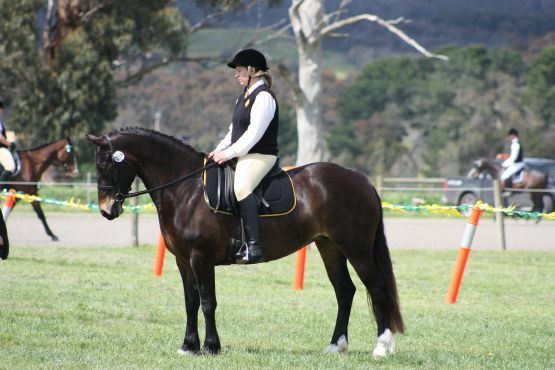 18/3/12- Pyalong/Glenaroura HRCAV Dressage Jackpot. 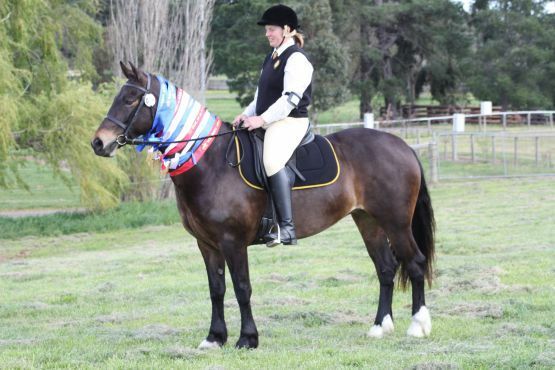 Adv A1 1st (61.852%) and Adv A2 2nd (61.071%) and Overall ADVANCED JACKPOT CHAMPION. 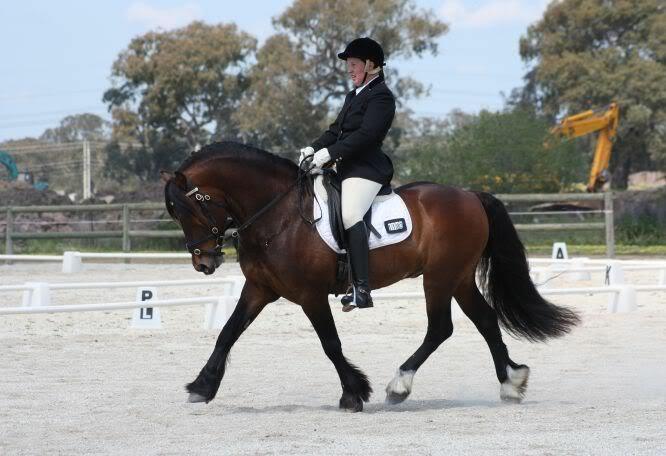 22/1/12- RC EA Dressage Day- Dan did two amazing tests and in both tests we cracked over 60%. 4B 63.056% and 4C 62.500%. No other ponies in it, BUT we came 2nd in 4B against the big horses though (big horse score was 64.306%) and 4th in 4C (big horse score was 65.625%).